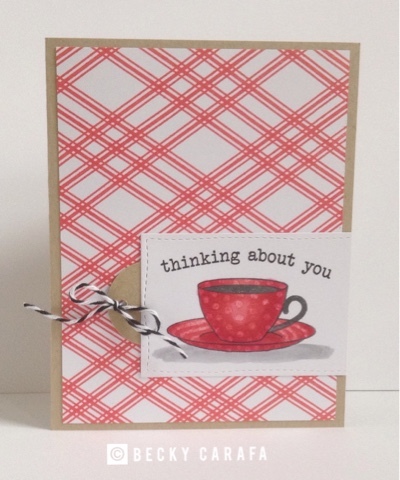 I used Get In Line to create my background, and the teacup is from Coffee Break, both sets by Whimsy Stamps. Oh, fantastic card. I love the red cup and saucer. Thanks for sharing.